Liam Buckley fears that the new feature of Friday night football in the English Premier League this season will have a detrimental effect on attendances at League of Ireland games. 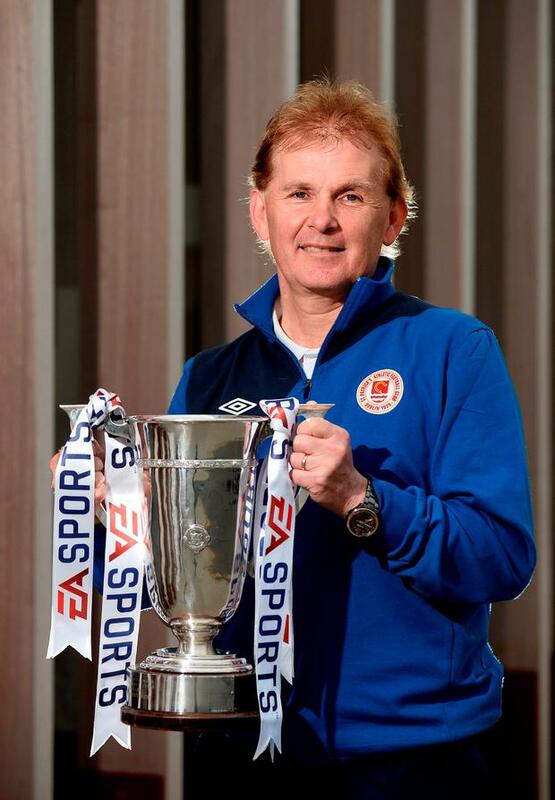 While the league form with his St Patrick's Athletic side is poor, a haul of one point (and no goals) from the last three Premier Division games, the cup competitions could still bring some joy their way in Inchicore: on Saturday, the Saints face Limerick in the final of the EA Sports Cup, Pat's hoping to retain the trophy, and yesterday's draw for the FAI Cup semi-finals gave them a home tie, against Cork City. The league form has been a disappointment and Pat's are likely to need an FAI Cup final win to secure European football for the seventh successive season, though Buckley is also relishing Saturday's decider at the Markets Field. But gates at Richmond Park this season sum up the experience across the league. Pat's have averaged just over 600 paying punters for their last two home games, and the average gate for the four FAI Cup quarter-finals last week was just over 800. Loyalties will be tested this coming Friday as the domestic fixture list goes head to head with the cross-channel attraction of Chelsea v Liverpool. "I'm not sure why that is, whether it's the teams involved, other sports, other games," says Buckley when asked to explain the poor gates this season. "You have these Friday night games in England now and I don't know whether that's going to be a drawback, the Premier League in England now seems to be going Friday, Saturday, Sunday, Monday now, which I have no doubt will have an impact on our league. I don't know what the answer to that is." However a big gate is guaranteed at the weekend as a sell-out crowd is due for the final in Limerick, the Blues already guaranteed a return to the top flight next term. "There will be 4,000 down there at the weekend and to bring them out next year for all their home games, it does help the league that bit more. We need our own place to be full as well, if we could get them all full it would be great," added Buckley, hopeful of a winning finish to the season. "We've still got eight or nine games left in the league and we've got, please God, two games in the FAI Cup and a League Cup final next Saturday so there's still a huge amount to play for."